The beauty of modern web design can be found in the widespread advancement of visual and dynamic effects. CSS3 has taken the design world to another level with independent animation properties. But digging even further you’ll notice that open source code has revolutionized the process of creating and using such a code library. HTML5 is the future of layout rendering and Chart.js is here to usher data charts into that future. 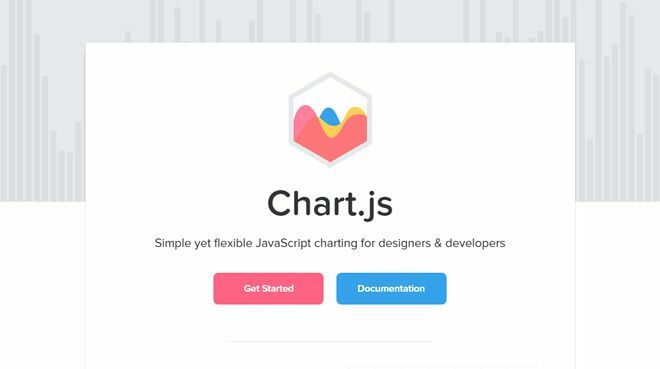 Chart.js is perhaps the classic open source library for generating any type of data chart, graph, or visualization element. Everything is rendered using HTML5 with the added benefit of a canvas element for dynamic effects. 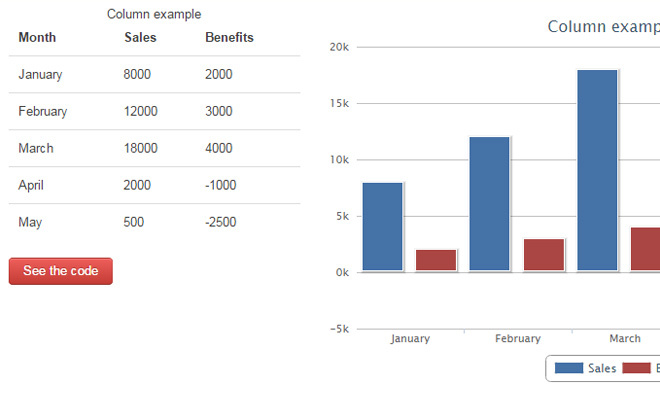 Graphs rendered onto an HTML5 canvas allow for hover tooltips and click events to access more information about charted data. 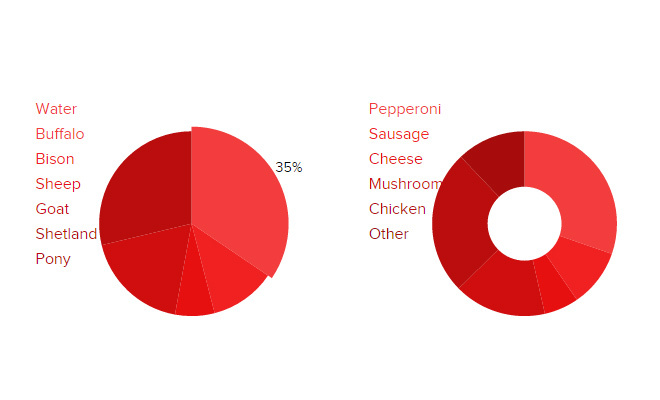 The various options range from pie charts, bar charts, radar charts, line charts and some other more advanced styles. Chart.js is unequivocally a powerful library. 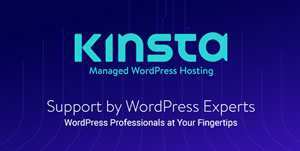 It’s fully responsive and supports all modern browsers in rendering that juicy data we all love so much. It’s completely free and open source on GitHub where you can find documentation and live examples. Simply put: if you need a crazy powerful chart library, this is your guy for the job. In the realm of dynamic charts jqPlot is another contender. 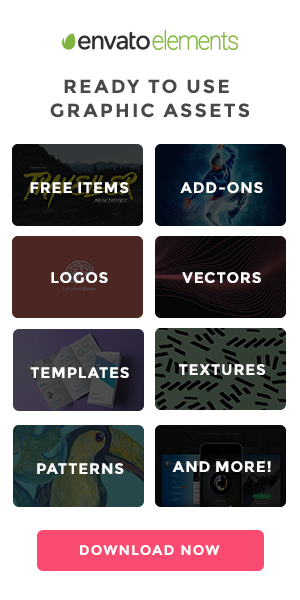 Take a peek at some of the live examples to see this library in action. jqPlot renders content as static images which are embedded dynamically. This means chart data can be updated via Ajax without even refreshing the page. 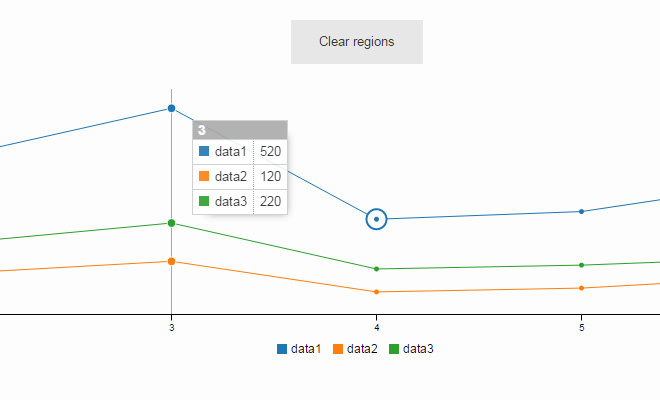 Some chart types even have hover options which display related data on hover. 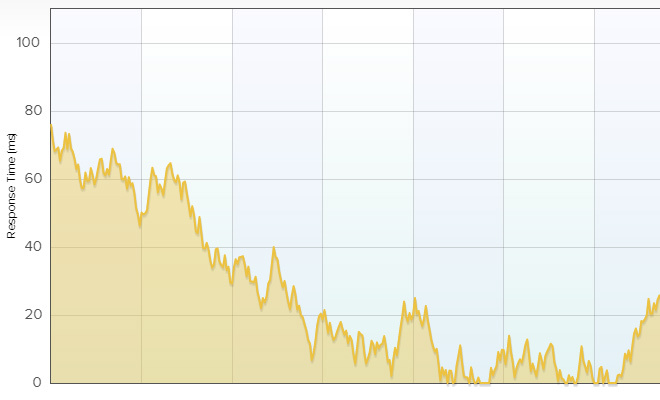 Although there are dozens of various chart styles, the default chart themes are somewhat bland. jqPlot will require a little TLC to get it working nicely into your layout – but it’s certainly a great tool for rendering more complicated datasets. 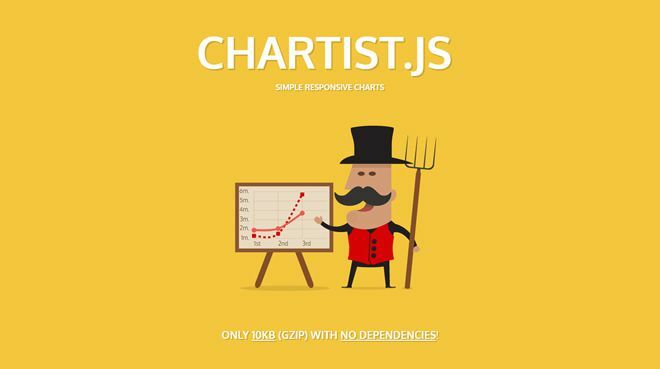 Another personal favorite of mine is the Chartist.js library. The homepage itself is simply brilliant and very easy to navigate. This means it’s easy to skim the documentation to find answers for setup and customization. 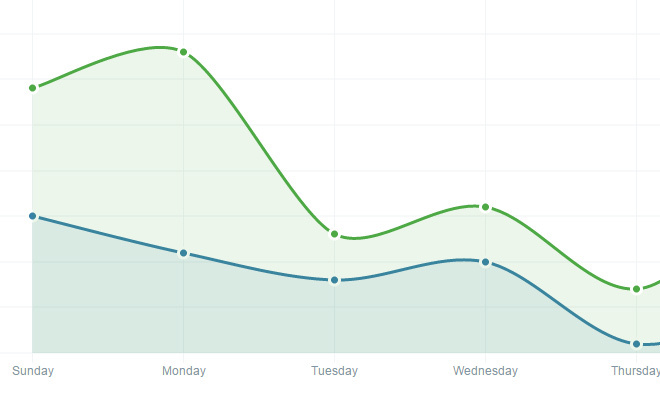 Each chart type is fully responsive and highly customizable from sizes to color schemes. 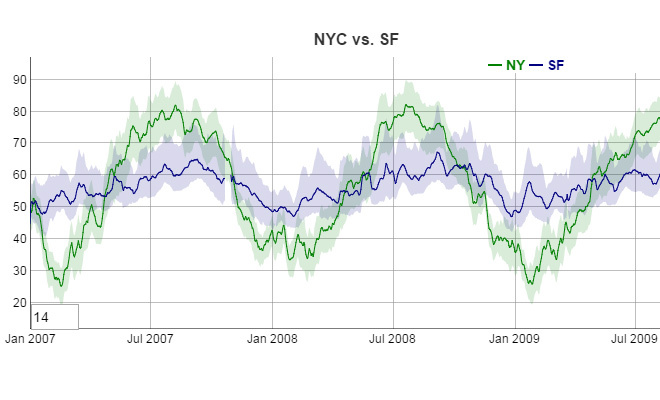 Chartist relies on SVG to render graphs as images onto the page dynamically. There are fallback options for older browsers, however the more modern versions will support all the great features like data animation. Don’t let the name fool you on this one. Although HighchartTable may seem like it’s meant for displaying HTML tables, it’s actually a plugin which converts tabular data into graphs. This is a jQuery plugin which is also based off another library named Highcharts. In order to get HighchartTable to function you’ll first need to include the two dependencies(both of which are free). Then you can setup an HTML table and convert the design into a fully-fledged chart. Take a peek at some of the live demos to see how the plugin works. xCharts is meant for more advanced users that are familiar with data visualization. 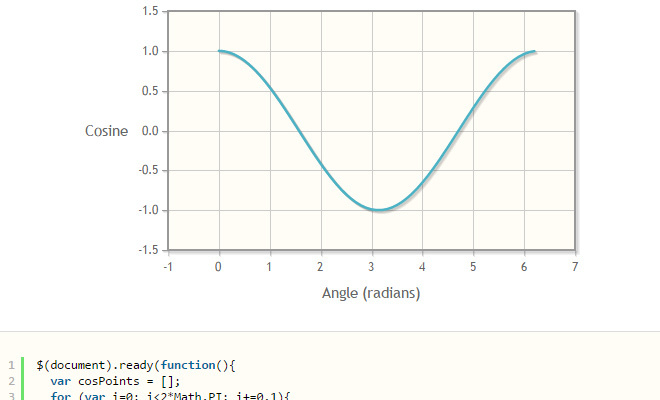 This plugin is based off the D3.js library for rendering in-page graphics and dynamic visuals. The open source C3.js library is also based on the D3.js library. It’s meant to simplify the process of rendering data charts onto an HTML page without requiring a whole lot of custom D3 chart code. However Protovis does have the capability of rendering exceptionally unique chart styles. The examples page is full of both conventional and customized chart demonstrations. Data organization ranges from simple pie charts to networks, tree diagram, and even full-scale maps. With a simple name like Flot you might expect this plugin to have some negligible features. 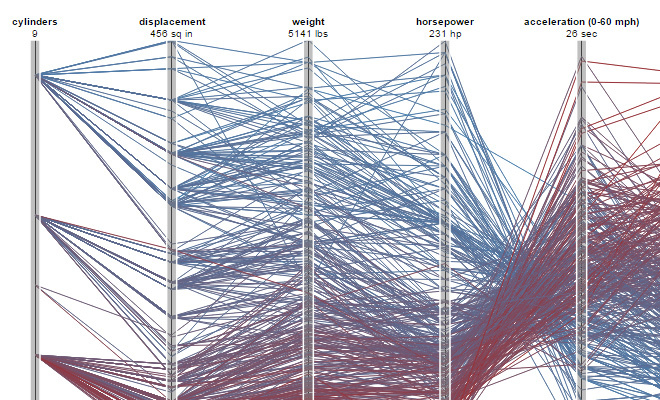 But surprisingly Flot for jQuery is a minimal yet diverse plugin for data visualization. The primary benefit of using Flot is the capability of creating animated plotting diagrams. This way you can have data move through a stream representing large groups of various results. It has great support ranging back to IE6 and even Firefox 2. Those who want to grasp the potential of Flot may enjoy perusing the examples directory. These chart libraries should be more than enough for the average web developer. Regardless of your skill level there is always a solution for every developer from the complete newcomer up to the wise old master. And best of all, web standards will continue to gain support for even greater methods of data visualization and user interactivity.